Air Science USA, LLC, announces the new generation of Purair® Advanced Series high efficiency ductless fume hoods designed to protect the user and the environment from hazardous vapors generated on the work surface. Improvements include a new microprocessor controller, new ECM blower motors, more efficient LED work surface lighting, and a broader selection of peripheral products based on the original Purair Advanced models. The Purair Advanced product line is UL Listed for safety and performance, now available in more than 49 standard models. 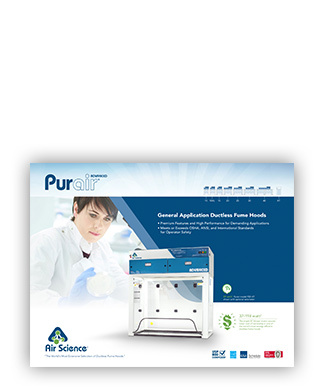 At the heart of the Purair ductless fume hood product line is the innovative Air Science® Multiplex™ Filtration Technology that creates a safe work environment over the widest range of applications in the industry. 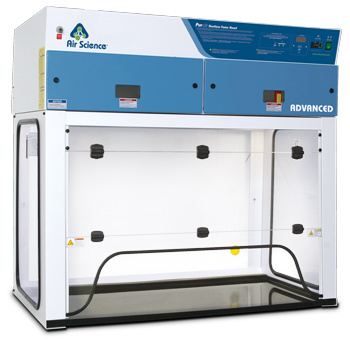 Other Air Science products include laminar flow and biological safety cabinets and a range of air filtration products designed for forensic, life science, pharmaceutical and industrial applications worldwide.